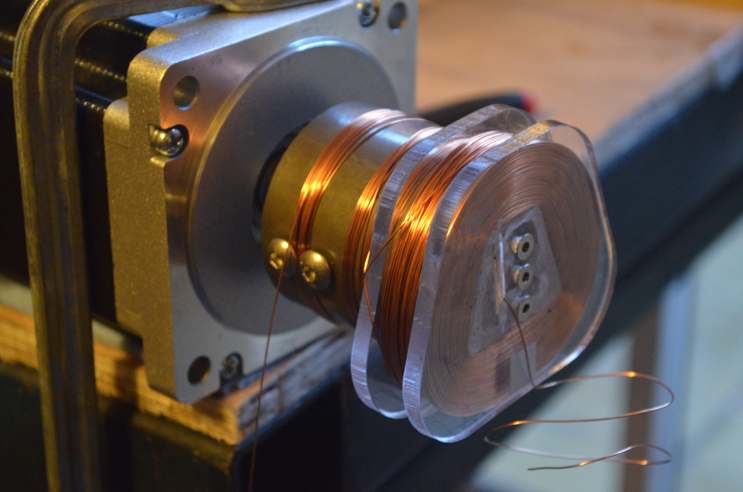 At the risk of boring everyone to death, here is yet another page about coil winding. This wire didn't have the heat/adhesive coating. Sellotape wasn't enough to hold it, and so the coils expanded to twice their thickness and didn't fit in their casings. And the sellotape looked rather ghastly. This wire was way too thick. 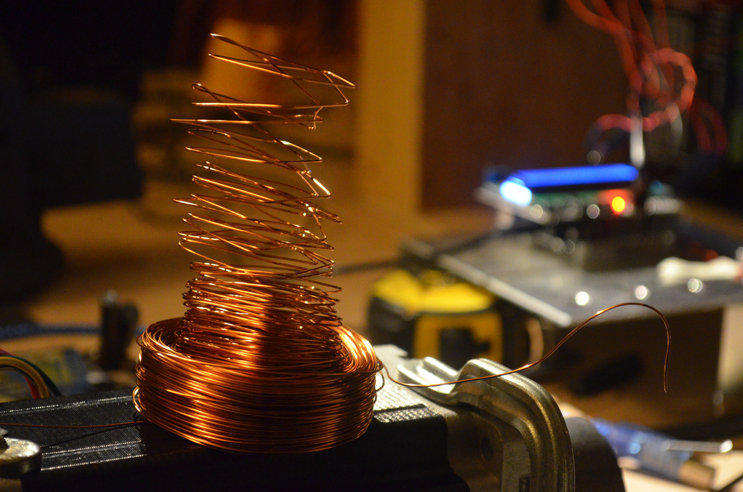 Here is a coil being heated directly on the motor shaft, which wasn't a great idea. 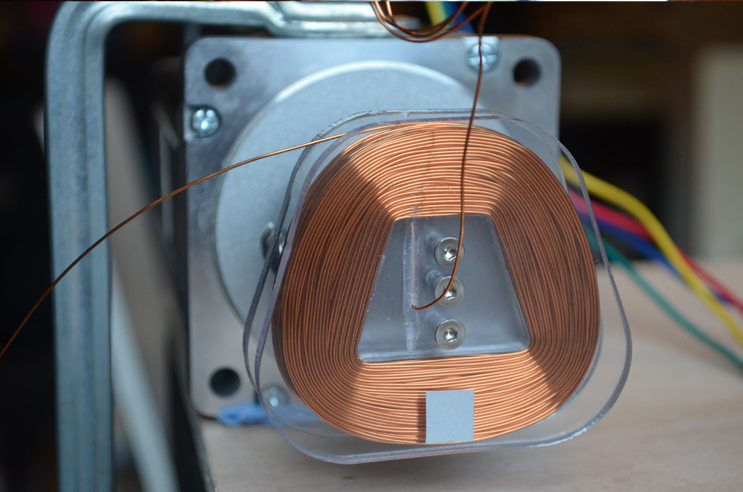 I was just rushing to get the first batch done and was treating the motor as slightly sacrificial, although it did survive. 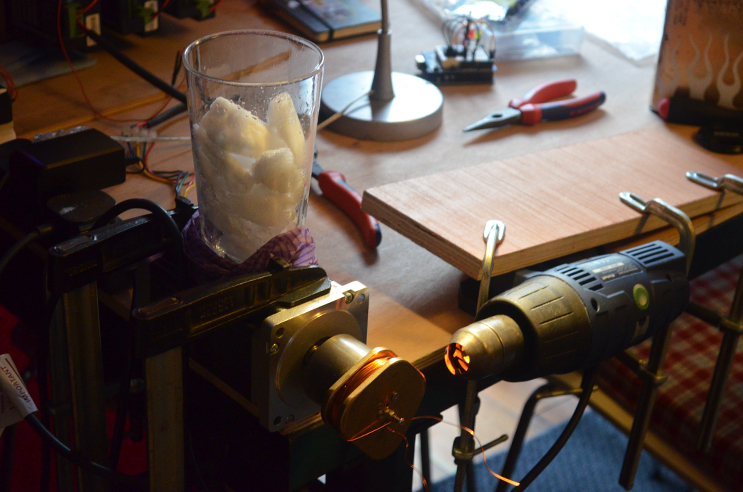 Here is the motor being cooled by a pint glass full of ice. My DeWalt heat gun packed up from holding it too close, and so I arranged to borrow one from Machine Shop, just as they were shutting down for Christmas. There would be no-one there by the time I got to the workshop, so the replacement was hidden in a designated hedge for me to collect, just in time. 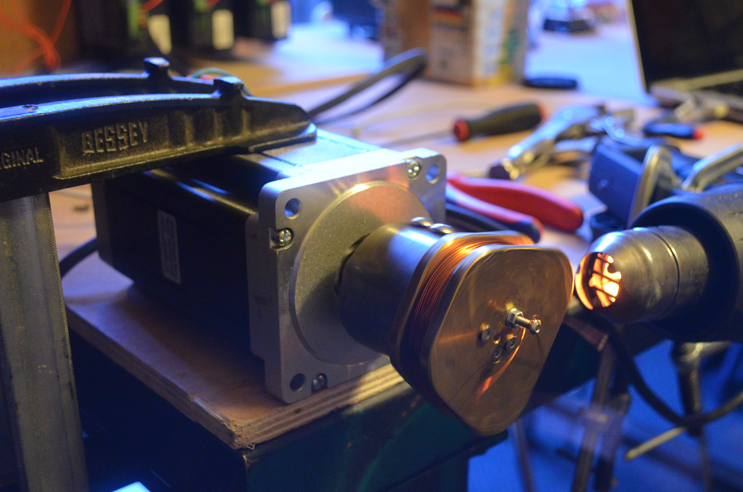 The final setup had a long bar to prevent the heat from reaching the motor. 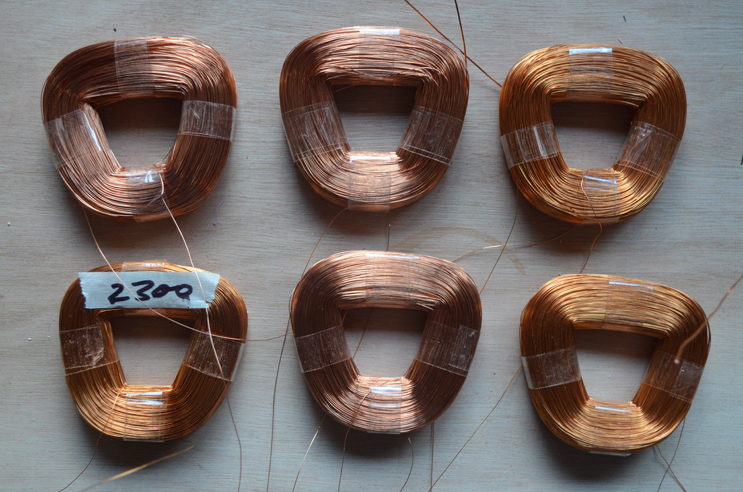 Another issue was that the first batch of coils were packed in their cases too soon after cooling the copper down in cold water. Condensation formed on the inside of the polycarb, and the coils didn't dry out until I dismantled them again and left them in front of a fan heater. 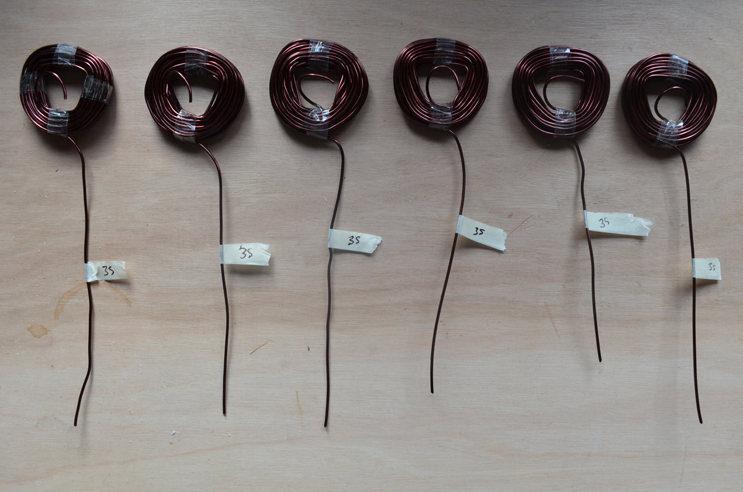 Right, that's this project well and truly documented, I've had enough of coil winding for now.